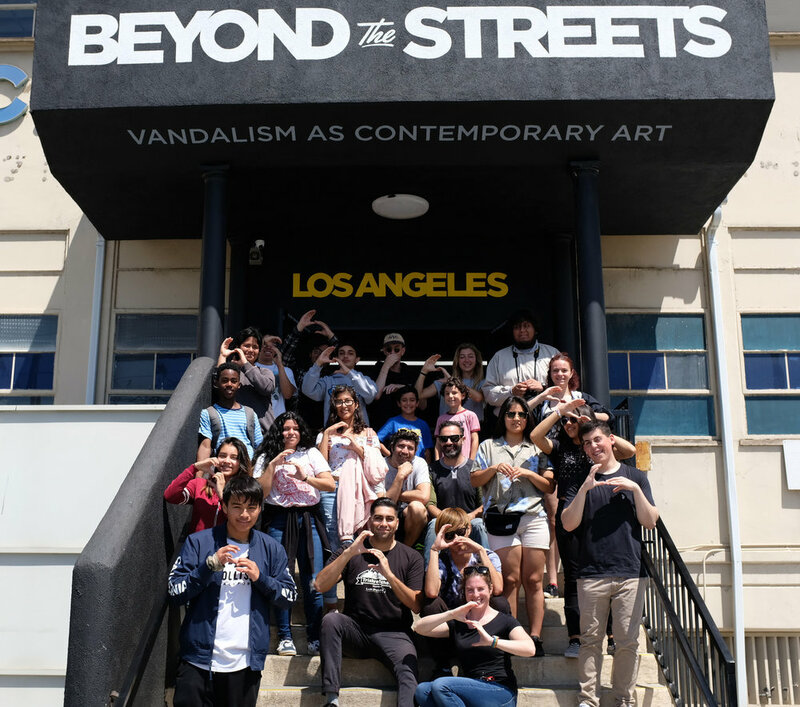 During our Spring Skate Mentor, we had the amazing opportunity to be the non-profit partner for Beyond the Streets, a pop up graffiti and street art exhibit in Downtown Los Angeles. In partnership with adidas, the exhibit was open to the public and its stay was extended in DTLA since it was so popular. 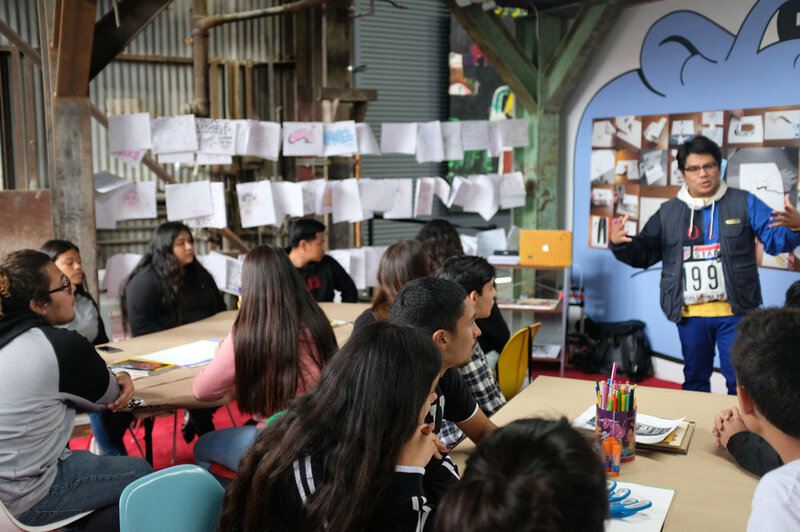 STOKED Students were given exclusive access of the recreated Venice Pavilion to skate, a guided tour of the exhibit, and an art lesson by one of the featured Beyond the Streets artists. A group of students and mentors outside the front entrance of Beyond the Streets. STOKED Alumni, “Shaggy”, skating a ledge of the Venice Pavilion. Students learning about the artist and history of a piece on display at Beyond the Streets. 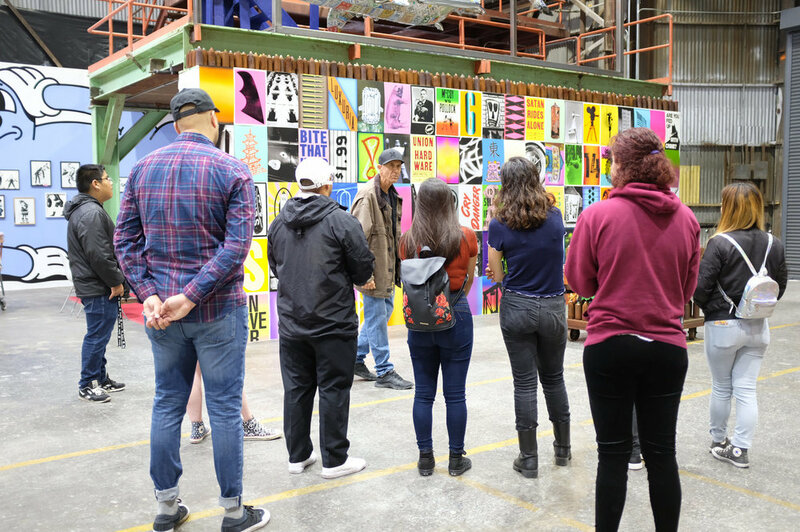 The tours were led by Dante Parel, Senior Art Advisor for Beyond the Streets. Both Katie Ferraro and Kyle Samuelson joined the STOKED family in 2014, but on different coasts. Kyle joined Katie in Los Angeles a little over a year ago and become Senior Program Director for LA. Katie serves as the Marketing Manager.